This is taken from the summit of Addlebrough, looking right into Wensleydale towards Hawes. I think it’s the best viewpoint in the Dales. Addlebrough’s got this beautiful shape. Here, you can just see the rim of limestone that goes all round the top of what’s really Wensleydale’s own Table Mountain. You stand there and it’s like opening up 360 pages of a story book of the Dales: you can see where the Ice Age has carved out the dale; there is a deep feeling of ancient history with carved stones and a burial cairn at the summit; it was said to be a lookout station during Roman times; and then you get the stone walls as well. I think you have to walk to the summit of Addlebrough to really appreciate Wensleydale. For me it’s the most majestic dale because it’s got this flat base. You can be within it and not really know you’re in a dale, but once you get higher up you can see how wide it is, with the fells sort of keeping it together. It’s fantastic. 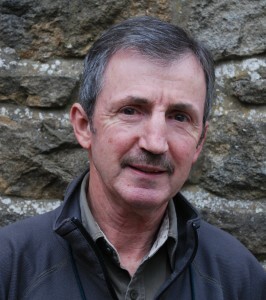 I became a Dales Volunteer in 2005. I was approaching retirement and I thought, ‘I’ve got to do something to keep me interested as I go along’. I’ve spent a lifetime managing trees and woodlands, so you could say this is a busman’s holiday really! Volunteers do a vast range of duties. 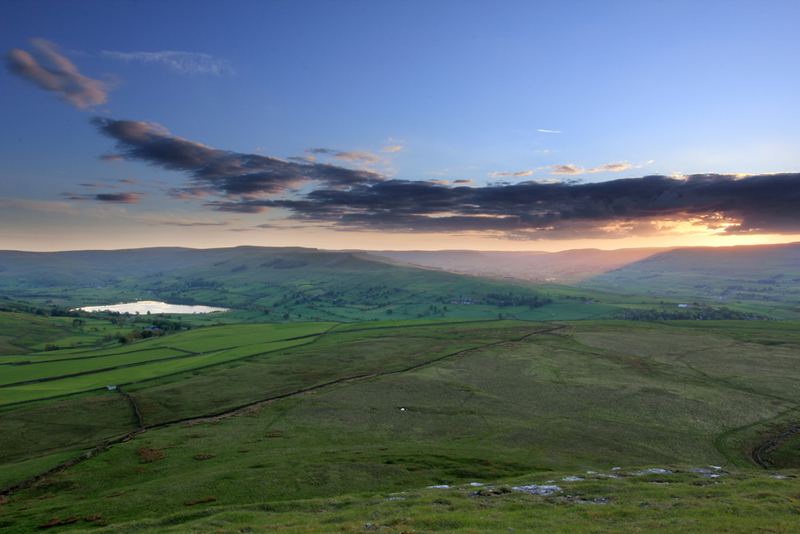 We’re looking at the very fabric of the Dales – the wildlife and the structure of the landscape as well. You really feel as though you’re doing a worthwhile job. I’m really keen on the Park’s education and outreach programmes. They’re so important in passing the National Park message on to future generations. On a very regular basis I, along with other volunteers and staff, take school groups and other groups out into the Park. It might just be for a general walk, or more specific to field work they’re doing. I love that kind of work. Whether we’re working in a woodland, or on a footpath, or building a bridge somewhere, we’re often approached by local people. It gives us an opportunity to strengthen links with local people, and get to know what’s important to them. The visitors are important and help support the local economy, but the people who live here are really important; it’s very much the landowners and farmers who keep this view here from Addlebrough. I’m out there on a regular basis repairing footpaths, restoring the habitats and so on. I sometimes look at views like this and think, ‘this is quite a rugged and, in a way, a fairly wild landscape, and yet here we are doing all this work to protect and conserve it’. So it’s not really that rugged, not that wild perhaps – it is actually quite a fragile landscape and that’s why we’re doing this work. Looking at this view you know that without all the different organisations and all the different people involved in caring for that view it would suffer, and the harm that’s caused would take years and years to put right – in fact some of it probably could never be put right. So whilst it’s a rugged landscape it’s still very fragile and really sensitive to change.